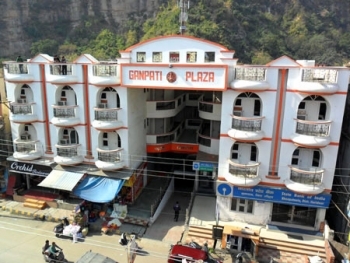 Hotel Ganpati in haridwar is conveniently located just 1 km from the railway station and bus stand. The Hotel Ganpati Plaza ensures that the guests can reach them with being too inconvenienced. 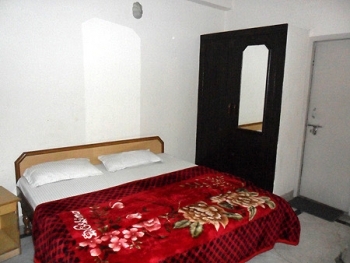 Though the hotel offers very limited services yet it can be tried for a few days of outing. Hotel Ganpati offers the finest choices in first class accommodation with well furnished AC rooms and suites. The rooms are extremely spacious and offer all modern facilities & services for a comfortable stay. Orchid Restaurant is the restaurant which provides mouth watering delicacies to suit the palate of Indian and international travelers in Hotel Ganpati. Jolly Grant Airport is almost 35 kms from Hotel Ganpati whereas Haridwar Railway Station is just about 1 km. away. Other destinations like Rishikesh is 21 km, Mussoorie is 87 km from hotel. Air : In the region Air Services are available only upto Jollygrant airport in Dehradun which is 30 kms. from Hotel. Road : Haridwar, on the main National highway, is connected to all major centers in the region and other parts of the country by road. There are buses available from Delhi to other major city.